If you are going out of town and are concerned about your plants, here is a timer I am testing. It’s the Orbit Single Outlet Programmable Hose Faucet Timer. You can set it to water at specific times and for specific durations. My main suggestion is to test this out ahead of time to check the coverage and how much water is actually being delivered to your plants. For my plants in pots, I am also using a saucer underneath each one to capture more water since they have a tendency to dry out. Below is a video on how to setup this timer. 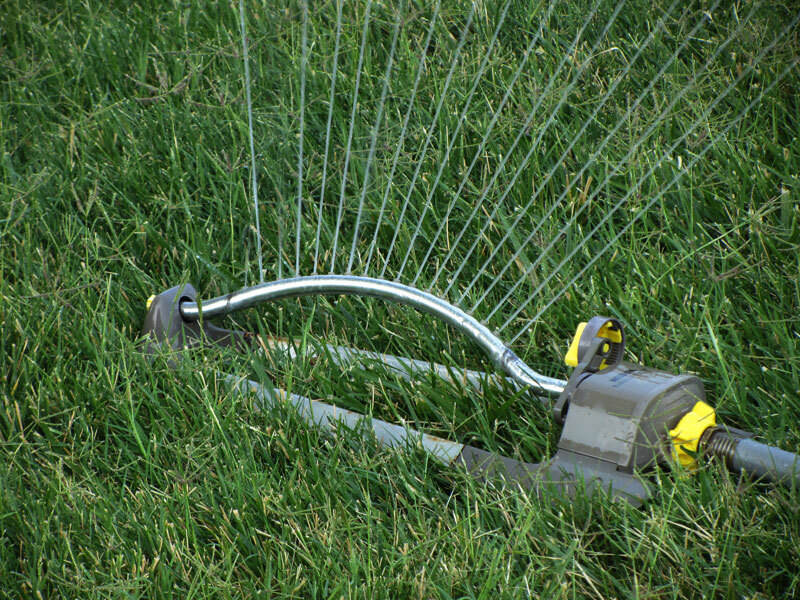 I found a great article on watering lawns put out by the Univ. of Missouri. It should obviously also apply to gardens. – Use a timer. “Some studies have shown that the average homeowner applies 2.5 times the amount of water that is required” Use a small can to measure how much water is applied to the area. – The table below is what the author sent me. The article’s table is wrong.